wonderful experience !!! We had so much fun and the food is super good. I really love the lamb they served. It was such a great experience to see the Kiwi close up too. I would recommend this activity to anyone. The Beauty by Night experience allows you to fully experience the best of Rotorua at night. Forget the bars or clubs, this is an unforgettable and rare cultural experience which will leave you inspired. As the sun sets, you will be welcomed into the Mitai Maori Village by the 'waka' or warrior canoe welcoming ceremony. Dressed in traditional wear and set outside in the natural bush, you'll truly feel like you have been transported back in time. 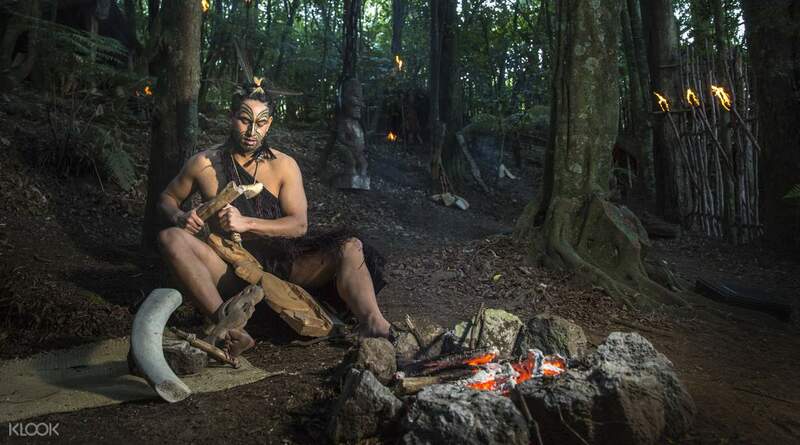 Learn about the traditions of the Maori people through legends, dancing and singing. You'll be able to watch as your feast is lifted from the traditional earthen oven made in the ground, and share in the delight with your fellow participants. 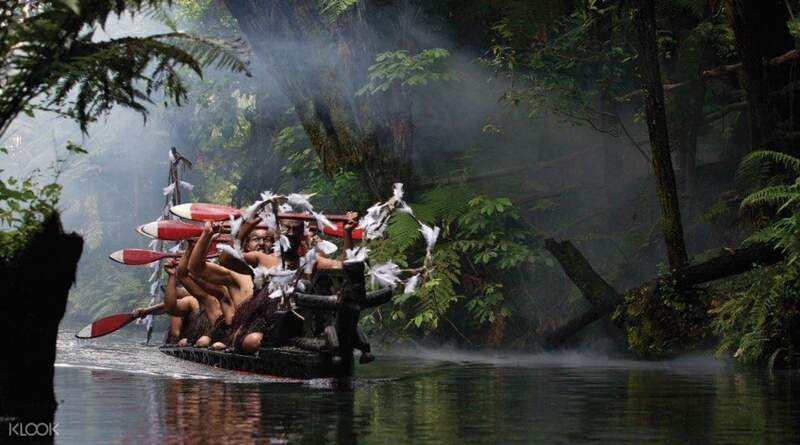 At the end of the night, the famous and sacred Haka will be performed for you. Your night continues as you tour the Rainbow Springs Nature Park after hours, you'll be able to see the native animals and bush illuminated by the stars and colorful lights. This night truly connects you to the people and natu of New Zealand. wonderful experience !!! We had so much fun and the food is super good. I really love the lamb they served. It was such a great experience to see the Kiwi close up too. I would recommend this activity to anyone. wonderful experience !!! We had so much fun and the food is super good. I really love the lamb they served. It was such a great experience to see the Kiwi close up too. I would recommend this activity to anyone. Very interesting experience to learn about the Mitai Maori culture and history through the generations. Love the dance and performances. Host was very entertaining and engaging. Food was great. Also was an exciting experience tracking through the Rainbow Springs at night with torchlights and looking out for various animals. Kids thoroughly enjoyed it. Provided pickup from our motel and back. Overall great experience. Very interesting experience to learn about the Mitai Maori culture and history through the generations. Love the dance and performances. Host was very entertaining and engaging. Food was great. Also was an exciting experience tracking through the Rainbow Springs at night with torchlights and looking out for various animals. Kids thoroughly enjoyed it. Provided pickup from our motel and back. Overall great experience. The experience is great and worthwhile. This is easy to redeem and includes a Maori feast and performance which is very interesting. My tour also includes kiwi bird visit. The experience is great and worthwhile. This is easy to redeem and includes a Maori feast and performance which is very interesting. 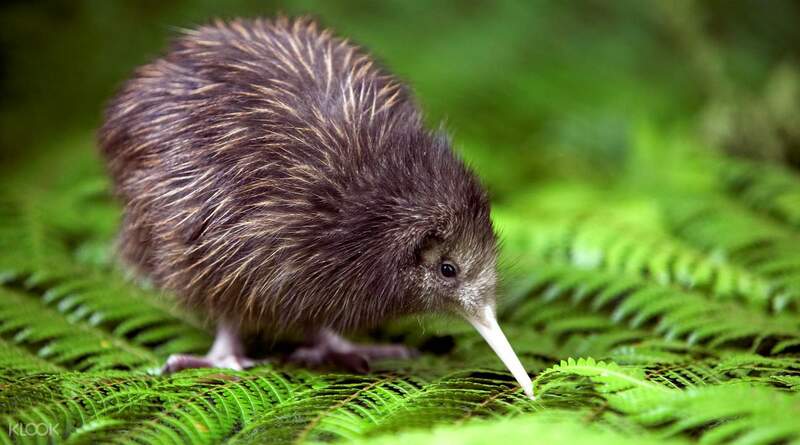 My tour also includes kiwi bird visit. Very warm atmosphere. Good show to understand Maori culture and customs but lack the actual exhibits at the village. Food was good esp. catering for halal requirements- enjoyed it so much. Very warm atmosphere. Good show to understand Maori culture and customs but lack the actual exhibits at the village. Food was good esp. catering for halal requirements- enjoyed it so much.